Lewis has joined us from college. He is settling in well and his general knowledge of vehicles is quite advanced. We are keeping an eye on him and would like to welcome him to our team. 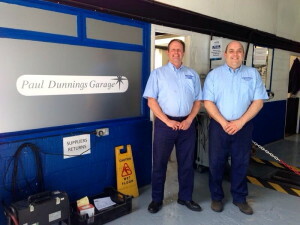 Paul Dunnings Garage is delighted to announce the promotion of Vince Henly from Workshop Manager to Company Director.